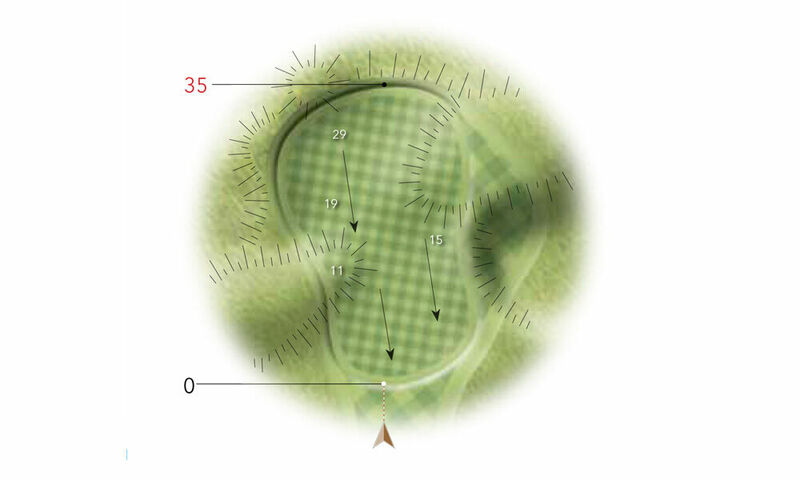 A tough finishing hole with Out of Bounds down the right hand side. 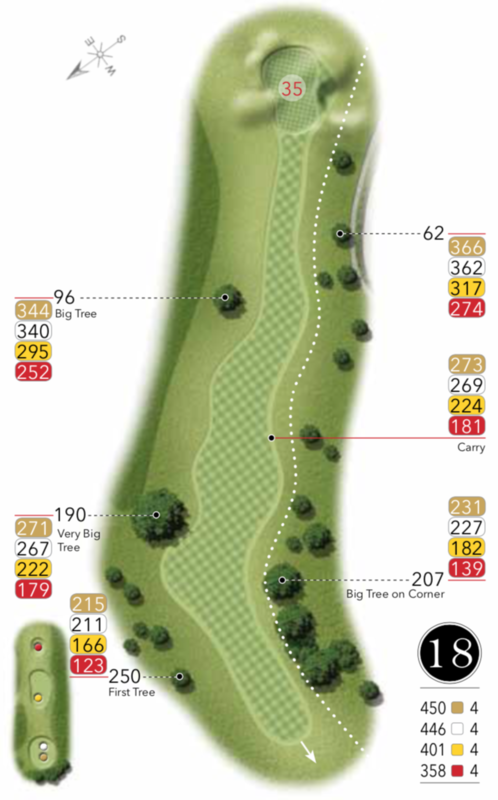 Play towards the big tree from the tee so you are attacking down the length of the green for your second. The green slopes severely back to front. Big hitters take on the dog leg at your peril.